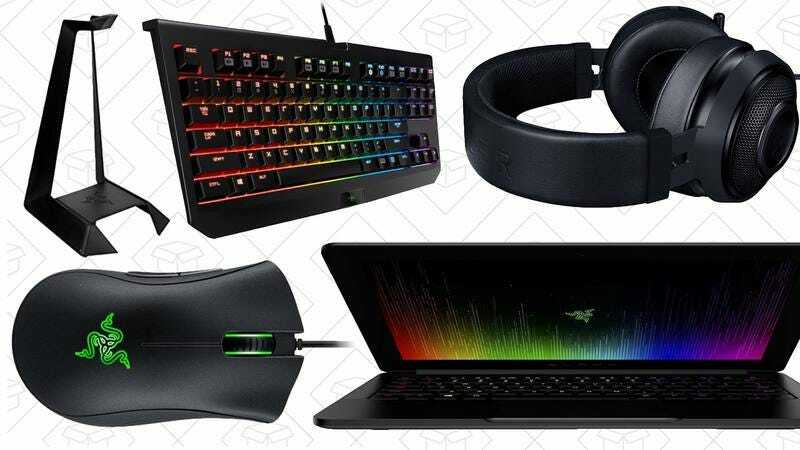 Razer makes some of your favorite gaming mice and keyboards, and a huge chunk of its lineup is on sale in today’s Amazon Gold Box. Highlights include the iconic DeathAdder Chroma mouse for $35, the BlackWidow Tournament Edition Chroma keyboard for $98, and even the Blade Stealth Ultrabook for $800, but head over to Amazon to find a lot more peripherals, plus several bundles that include mouse pads. Just remember that these deals are only available today, and the best stuff will almost definitely sell out early, so crank up your DPI to beat the crowds. Other than on Black Friday, Overwatch has been pretty immune from major price drops up to this point, so if you somehow don’t already own it, you shouldn’t hesitate at $40. Look around the room you’re in now, and you can probably find half a dozen things you own that charge over USB. Now, you can juice them all up at the same time for just $17. $29 is a great price for a basic 20,000mAh USB battery pack. For one with Quick Charge 3.0 output and input though? It’s pretty much unprecedented. Just be sure to use promo code Z6Y36CXQ at checkout to save $8. If you’ve tried an unamplified HDTV antenna (like the standard Mohu Leaf), but can’t quite pull in every channel you want, this 1byone leaf-style model includes a USB-powered amp that should add a few miles of range. Amazingly, this is actually Amazon’s top-selling TV antenna and boasts a 3.9-star review average on more than 12,000 reviews. 3.9 is actually pretty high as far as antennas go. Since they don’t work well in every location, they tend to get more low ratings than they probably deserve. While it doesn’t have the brand recognition of Nest’s learning Thermostat, the Ecobee3 Smart Thermostat one-ups its most popular competitor by including a wireless remote sensor that you can place elsewhere in your house, giving the thermostat a more accurate picture of your home’s overall temperature. Plus, it’ll work with Siri via HomeKit and your Amazon Echo, too. This thing almost always sells for around $250, but Amazon just dropped that to $199, matching Black Friday’s price. This was briefly available yesterday for a few minutes, but sold out quickly. I’d expect the same today. Thousands of our readers have purchased Vansky’s motion-activated under-the-bed light, but OxyLED recently launched its own version, and you can get two for the price of one for a limited time. These are great for shuffling to the bathroom at night without stubbing your toes, and with today’s deal, you can install one on each side of your bed. Just be sure to add two to your cart, and use code 2OXYS101 at checkout to get the deal. Blacklight flashlights are great if you want to spot hidden stains on train seats, hotel sheets, or (gasp) even in your own house, if that’s something you want to do.